Photozone Graphics provide export quality prototype circuit board at competitive rates. Circuit board needed in all electronics industry. Photozone Graphics check all gerber data before fabrication. 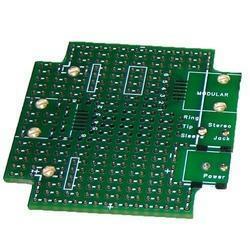 This save time as well as provide error free circuit board. Photozone Graphics having facility to produce export quality PCB. You will get quotation with in 2 hours. Riding on unfathomable volumes of industrial expertise, we are manufacturing and supplying a wide range of Double Sided Printed Circuit Board. By keeping track with the market developments, we are involved in offering world class Double Sided PTH PCB. We manufacture PTH PCBs in small volume with high precision works.